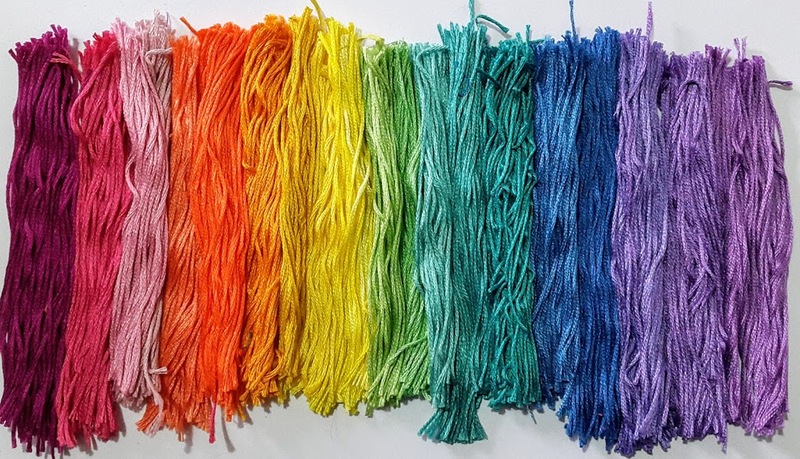 ArtyFartyAnnie: Rainbow is my Favourite Colour - Tassel Time!! 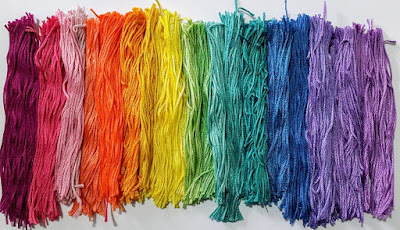 It would be great to make some really fat tassels too - I must see if they have any chunkier tops. 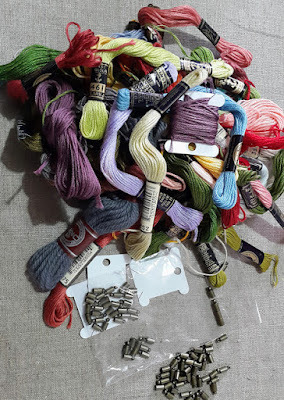 I think these would be great mixed with beads and whatnot to make charms for mini books and they're slim enough to add to scrapbook pages - I've seen jewellery made with them and they'd be cute on a gift tag too wouldn't they? 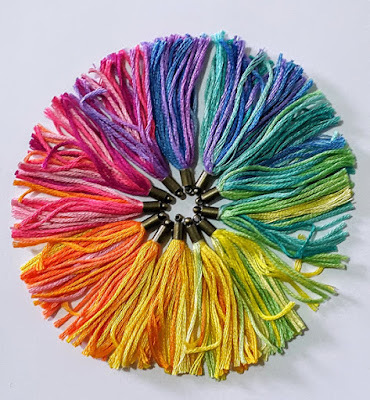 There are lots of tutorials on YT showing you how to make tassels in various ways, but this was really easy - just laying the threads onto sticky tape, rolling them up and sticking them into the tassel top. There is a little loop at the top which you can use to attach the tassel to your project. These are so sweet! And I love the title too! So happy and bright! They would look great on tags! I usually order Chinese stuff on eBay, but I'll check out Alibaba. Just noticed that Alibaba is different from Aliexpress. They're selling the same things as Ebay, but perhaps even cheaper! Will definitely try them!